Dahlia: Suitable for every garden! 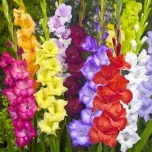 Gladiolus: For excellent cut flowers! Buy beautiful flower bulbs online at flowerbulbs.co.uk. The sight of the first green shoots of spring bulbs pushing through the earth in spring is always a welcome sight. Spring flowering bulbs are a joy to behold, especially after long, dark winter days. Among our favourites are snowdrops, daffodils, cyclamen, hyacinths, tulips and anemones. Click here to view our spring bulbs. Create a beautiful and colourful summer garden with ease by planting gorgeous summer flowering bulbs. Summer flower bulbs combine easily with perennials and shrubs. They are cheap and low maintenance. We offer many beautiful summer-bulbs in our webshop, like freesias, ranunculus, dahlias, gladioli and begonias to name but a few. Click here to view our summer bulbs. Exotic flowering bulbs are stunning garden feature plants. Did you know that all summer- flowering bulbs are exotic flower bulbs? Many are native to Asia and Mexico. Dahlias and lilies are well known and much loved. Other subtropical beauties like nerine's, amaryllis, canna lilies, agapanthus, acidanthera, callas and crinum lilies are also beautiful garden gems. Of course we offer much more. If you have a favourite bulb or are looking for affordable large packs of mixed flower bulbs, we are sure to have it! Your bulb at a wholesale price! Order your bulbs at wholesale prices! Of course you are looking for the best quality bulbs. In our shop you can buy discounted bulbs of high quality. 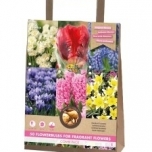 Flowerbulbsinc.co.uk is one of the largest online retailers in the Netherlands and Europe. Therefore, we can offer our bulbs at cheap wholesale prices. Check our wide range of cheap discount packages for spring bulbs, summer bulbs and organic bulbs. Click here to view our range of mixed flower bulbs. Flowerbulbsinc.co.uk has the second largest product range of bulbs in Europe! Want to buy bulbs? Flowerbulbsinc.co.uk has the second largest product range of bulbs in Europe. Choose from typical spring bulbs such as tulips, allium and crocuses to exotic summer bulbs such as lilies and begonias. In addition to selling flower bulbs at great rates, we also sell flower seeds, vegetable seeds, garden plants and all the tools you need to make gardening a pleasure. Through our various online shops, we offer a complete range of garden supplies for every gardener. From hobbyist to professional. You can check out our other websites via the links in the footer of this website. 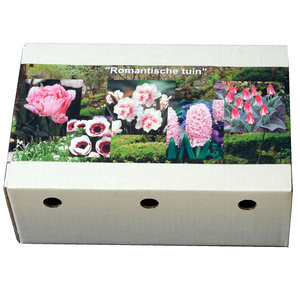 Highest rated webshop in flower bulbs, seeds and gardening products! 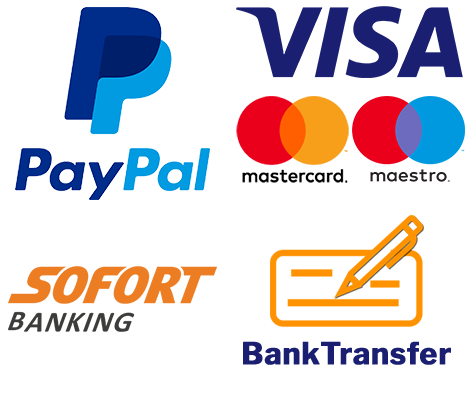 Besides our low prices, we also offer you excellent service. If you order your flower bulbs today, you will receive them the day after tomorrow at the latest. And we are happy to provide personal instructions for growing our products, so you can always count on having the most beautiful flowers! Our clients appreciate this and have rated our service as a A*. This makes us the highest rated webshop in flower bulbs, seeds and gardening products. Something we’re quite proud of. Have you decided which flower bulbs you would like to add to your garden? Simply add them to your shopping cart. Click the checkout option to complete the payment and you will receive your bulbs (and other products) within a couple of working days. Enjoy! Flower bulbs are popular all around the world. With their bright coloured flowers, they are a real asset in the garden, the balcony or the windowsill. Tulips, daffodils, crocuses and other flower bulb varieties add year-round colour and garden interest. Here are the top 10 choices to consider for your garden. 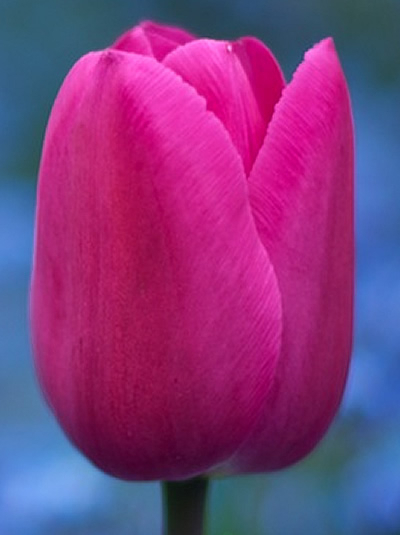 Tulips are the most popular flower bulbs in the world. 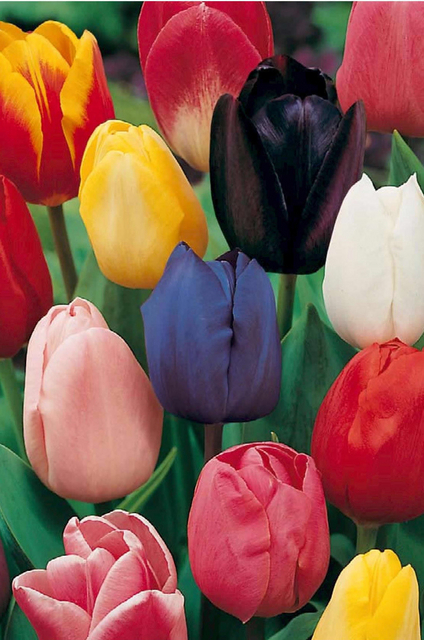 There are an incredible diversity of tulip varieties available online. 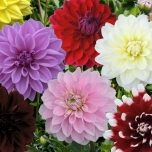 Choose between early or late-flowering varieties and a rainbow of colours. Classic Darwin Hybrids or Flamboyant Parrot Tulips, with unusual fringed petals. No garden is complete without these beautiful brilliantly coloured spring flowers. Sunny, gold-flowering daffodils are among the first flower bulbs to delight us with their merry blooms during early spring. Daffodils come in a variety of shapes and sizes. Are you looking for something extra special? Then double-flowering daffodils are for you, available in blush pinks and creams. Or plant Botanical daffodil bulbs. Nothing is more magical than a carpet of merry flowering crocus bulbs in the garden at the very first hint of spring. The flowers sometimes even poking up through the last bouts of snow; bright little pops of colour. 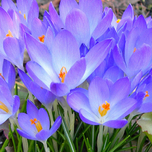 Like most flower bulbs crocuses naturalise beautifully and look stunning in lawns and flower borders. Alliums are stunning summer flowering bulbs. They are renowned for their long flowering period and are drought-resistant and low in maintenance. Their single globe- shaped flowers provide much-needed architecture in the garden and are favoured by bees and butterflies. Available in many varieties and sizes; ranging from 10 cm to 1.50 mt. Snowdrops are enchanting early flowering spring flowering bulbs. The delicate white bell flowers are sweet and elegant. Snowdrops are one of the first flower bulbs to bloom in the season and herald the arrival of spring. They are must-have flower bulbs that look exceptionally beautiful naturalised growing in lawns and flowerbeds. 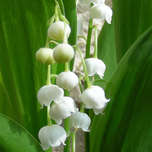 Lily of the Valley is a popular spring-flowering bulb loved for its fragrant flowers in the shape of tiny white bells. People have been giving this flower as a gift on the 1st of May to wish their loved one's prosperity and success since the Renaissance. 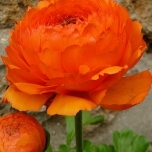 Ranunculus bulbs are loved by garden enthusiasts around the world. From delicate shades of pink to bright reds, orange and yellow, pristine white to dark purple, their beautiful, attractive flowers look stunning in any garden. 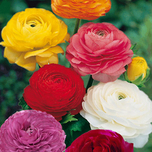 Ranunculus provide excellent cut flowers. Celebrate spring with beautiful ranunculus in the backyard or in a spring bouquet on the table. 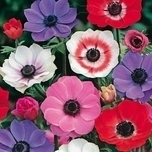 Anemone bulbs are colourful, versatile flower bulbs that look stunning in the flower border. 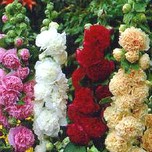 The unique flowers are available in a variety of colours: white, pink, red, violet and blue. Plant Anemone bulbs in large groups to create an impressive, beautiful sea of flowers. Freesia is loved for its beautiful coloured flowers and perfume. Blooming from late spring to early summer, they bloom profusely in the garden and in pots on the balcony and windowsill. Freesia is an excellent cut flower. With a bouquet of freesias on the table, you can enjoy their scent up close for your enjoyment. Native to sunny Mexico, Dahlia is a big and cheerful summer- flowering bulb, providing masses of beautiful flowers in various different sizes. Their beautiful petals – sometimes plain coloured, but more often than not with striking bright spots or stripes – are a feast for the eyes. Plant the bulbs in full sun so they can thrive. To get special deals, new product announcements and more, enter your e-mail address here.